Get a free infrared insulation check to help boost your score by 10%. 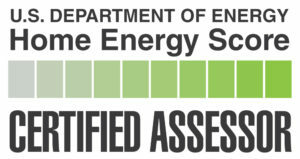 We do not do energy upgrades so we can give unbiased scores. See our free guide on how to increase your home energy score for less than $50. Calculations for vaulted ceilings, converted attic and multiple roofs can take over an hour with a single mistake dropping your score by 20%. Our custom built DOE approved software ensures we get it right every time. Get a list of all current energy rebates and incentives to help you save money​ on energy upgrades. Does My Home Fall Under The Energy Score Ordinance? Here is an example of a home energy using the Department of Enegy's Home Energy Scoring Tool.